The engine of Hyundai Eon is a 814 cc with a peak torque of 50Nm and 48bhp peak power. It will come with a five speed manual gearbox. The Hyundai company might launch the vehicle with an automatic transmission as well after it is established in the market. This small hatchback car gives excellent fuel economy especially when the petrol prices will hit Rs. 80 per liter anytime soon. 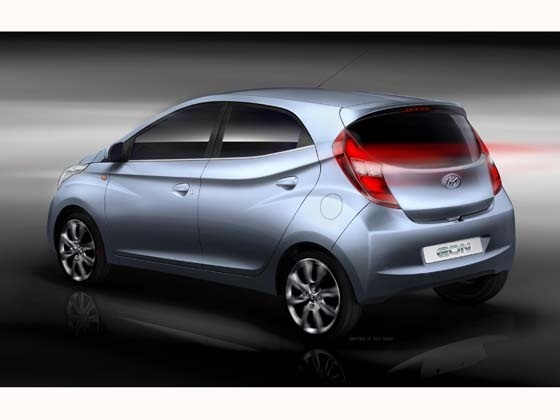 The Hyundai Eon will be delivering a fuel economy of 17-21 km per liter as it is powered by a light weight engine. All the standard features like Body colored bumpers, multiple trip meters, seat belts for all seats, steering column, remote boot release, body colored door handles, etc. 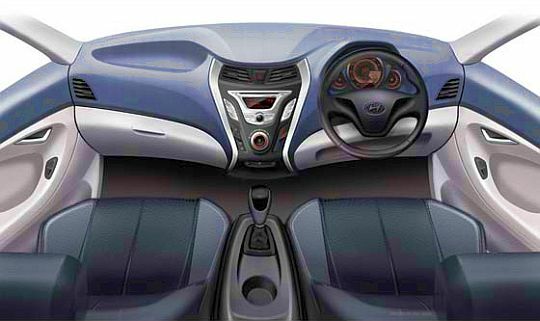 The medium version of Hyundai Eon will include additional features like air conditioner, front power windows, engine immobilizer, etc. The high end version will feature power steering, central locking, rear spoiler, music system, fog lamps, all power windows, one airbag on the driver’s side, ABS(Anti-lock Braking System). There has been no word about the launch of this vehicle. However, according to the industry sources the car might be released in the month of october. 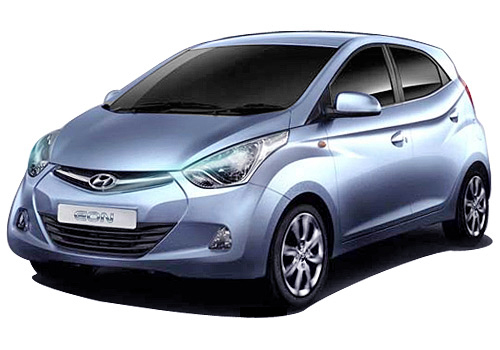 Hyundai Eon will be priced in the range of Rs. 2.5 lakh to 3 lakh. It will be released in six colors: Silver, White, Black, Grey, Blue and Red. Hyundai Eon will surely be a better car in terms of looks, performance, design and interiors. it is one of the most affordable car in the entry level segment and worth every penny. It might leave the other cars like Spark, Alto far behind.